Yirra Yaakin Theatre Company is committed to creating and sharing stories with our community through theatre. 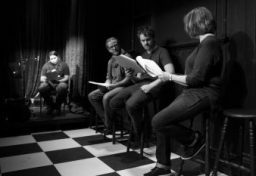 Yirra Yaakin invites aspiring First Nations playwrights to participate in an intensive playwriting program that guides writers through craft and writing sessions aimed at turning ideas into scripts. At the culmination of the workshop program, six writers are selected for one-on-one assistance to help them prepare their scripts for a public reading. The new works developed by these members of the Writers Group are read by professional actors at our annual NAIDOC Week event, Yirra Yaarnz. Geoff Kelso has more than 40 years of experience as an actor, comedian and writer working in Sydney, Melbourne and Perth in theatre, radio, TV and film. Geoff is a co-creator (‘writer’) and performer of Bindjareb Pinjarra, a play about the Pinjarra massacre, which was first performed at The Blue Room Theatre in 1994 and currently still tours around Australia. Geoff graduated from NIDA in 1975, and in 2010 graduated from the WA Screen Academy with a Bachelor of Communications in Film and TV Writing and Directing. Polly Low began work as an actor in the theatre industry more than 35 years ago. She now also works as a dramaturg, literary advisor, director, lecturer and writer. She is currently the Literary Director at Black Swan State Theatre Company, where she works one-on-one with commissioned writers developing their plays, and also reads and assesses scripts from around the world. Polly first worked with Yirra Yaakin Theatre Company as a workshop leader back in the 1990s and has also worked as a dramaturg for the company. Hellie Turner is a prolific WA playwright with numerous awards and production credits to her name. She has written for all sectors of the theatre. She was resident playwright for kompany M from 2005 to 2010. Hellie has won the WA Premier’s Book Awards twice (2002 and 2006) and had her work show-cased in both London and New York in recent years. Her most recently produced shows are Anytown (2011), Mad Fred (2013), Meow! (2015 and 2016). Her documentary theatre piece Project Xan was produced at PICA in 2016. 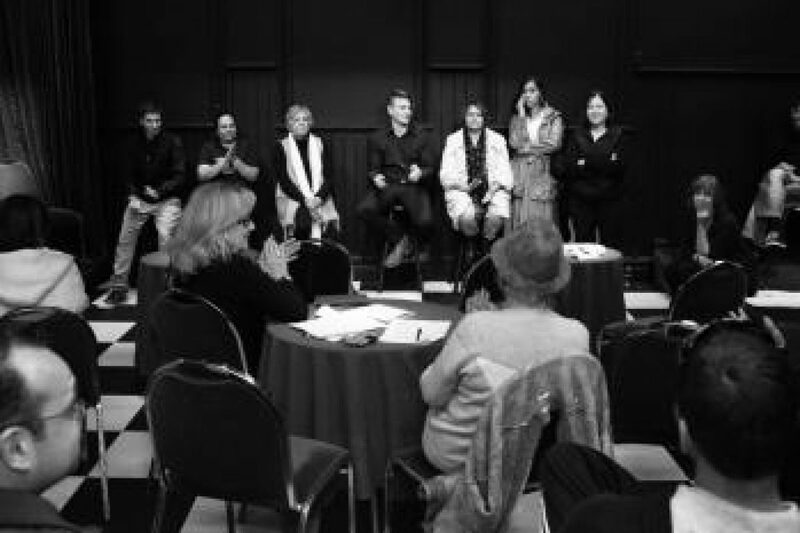 Her new play The Lighthouse Girl was performed in May 2017 as part of Black Swan State Theatre Company’s 2017 program. 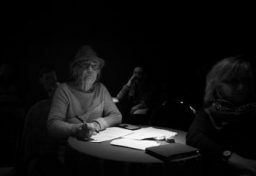 The next Writers Group workshop sessions will be held on Saturday mornings and Wednesday evenings, commencing on Saturday 9 March and concluding on Saturday 6 April. Yirra Yaarnz 2019 will be held on Friday 12 July & Saturday 13 July at The Blue Room Theatre. To express your interest in joining The Writers Group, please email marketing@yirrayaakin.com.au or call 9380 3040.